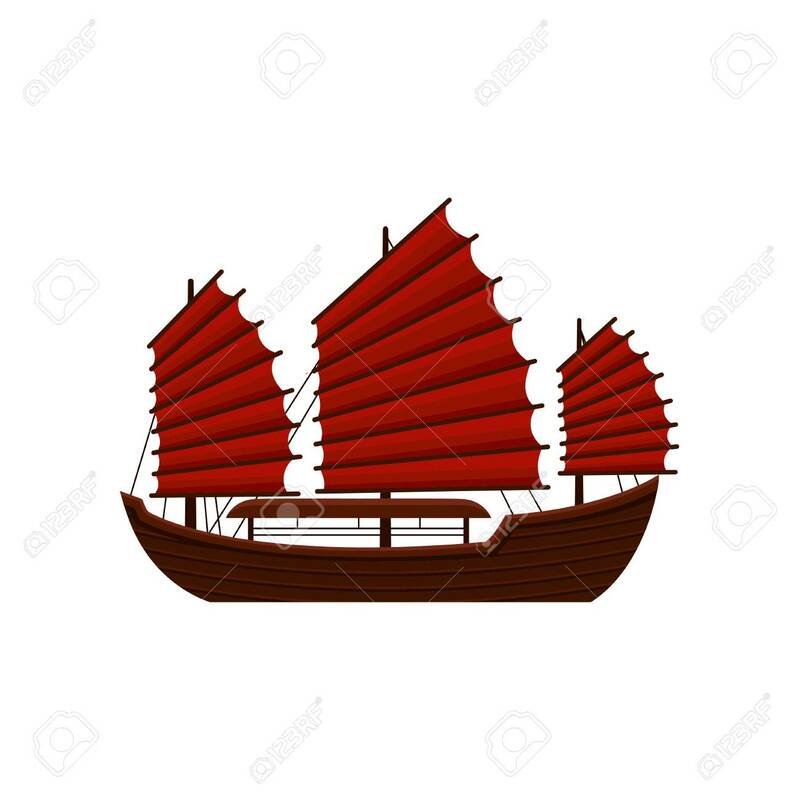 Traditional Chinese Junk Boat With Red Sails. Old Wooden Sailing.. Stock Photo, Picture And Royalty Free Image. Image 106030356.